Roller shutters are a very practical and effective way to provide sturdy protection for your premises or property, inside or out. Roller Door/Shutter motors, remote controls and sensor technology make using the larger doors as simple as touching a button. Aesthetic options exist to make a stylish statement where needed, with a range of up to 50 colour finishes. Scroll down and you’ll even find shutters for commercial vehicles. At Able Doors, we’ve got you covered! Our products are designed and manufactured by us right here in Sydney and wherever possible we support the use of local materials and suppliers. Able Doors offer you the ongoing security of our expertise and longevity in the industry. We’re here to provide you with the best before-and-after sales advice and service on our range of products. We’ll help you make the right choices for what you need and how to best maintain your investment. 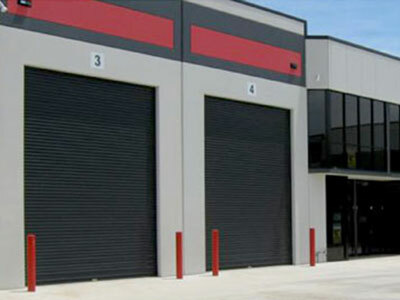 Able Doors is your one stop shop for Fire Shutters, Industrial and Car Park Shutters and many other varieties of shutters and roller doors for commercial application. Scroll down to see our wide range and feel free to give us a call on (02) 9757 1877 for a free quote or if you’d like to know more about what we can do or recommend for you. 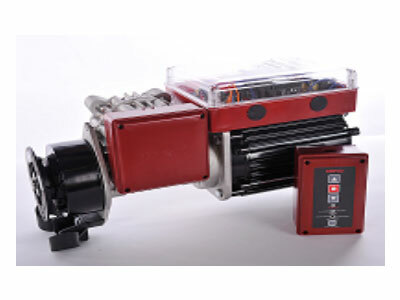 Can be used in a number of applications, eg, shopping centres, arcades, car parks and modern architecturally-designed homes and buildings near the sea. 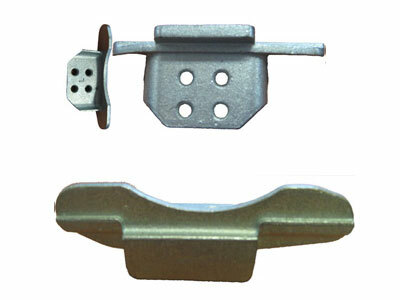 They can be manufactured in slotted, perforated or solid profiles. Roller doors is the gateway into and out of your business and making sure there are no hiccups in their operation is our primary concern. 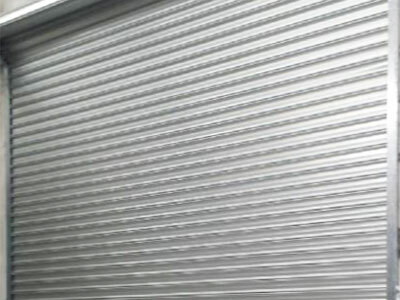 An Able steel industrial roller shutter can be fitted in a conventional way (standard mount) or reverse rolled (reverse mount). 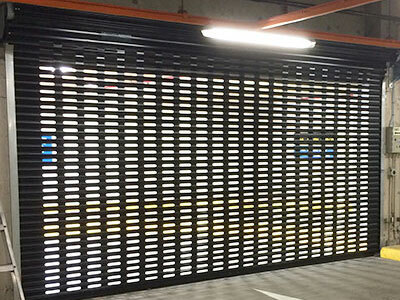 Able Car Park Roller Shutters are manufactured in either 50mm or 75mm gauge steel. They can be plain, slotted or perforated. Able Windlock shutters protect your assets from harsh winds, an Able windlock shutter is ideal for areas where high winds occur or where winds have caused damage to shutters previously. 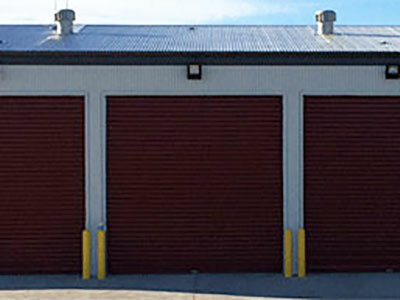 Fire Rated Roller Shutters are used where there is a high fire danger or open areas where a fire cannot easily be contained. 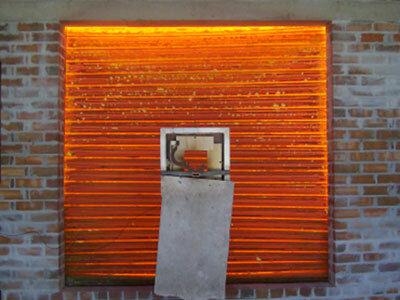 Fire shutters close automatically at a controlled rate when activated to prevent fire from spreading. 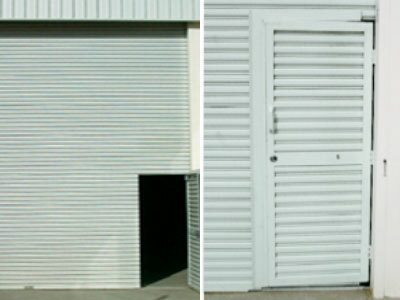 Able Door Services can fit all types of access devices to any existing motorised roller shutter. Able Gates may be left or right-hand mounted depending on individual needs. Our gates are fully approved to be used as a fire-escape exit (opening out, minimal step down, with single-action lever handle).